DOWNLOAD an example for YOUR GROUP and fill in your number goals to get an idea of what your net fundraising revenue will be! Custom Designed Game shows: Allows custom text, pictures, and video to be used in game sets and these can be “sold” to sponsors. Additionally, in between sets/games a 15-30 second commercial can be “sold” to sponsors! Video “Night at the Races”: These are actual horse and dog races that have been run that can be bet on by guests. In a race program, you can “sell” race sponsorships advertising and again do 15-30 second commercial spots between races! 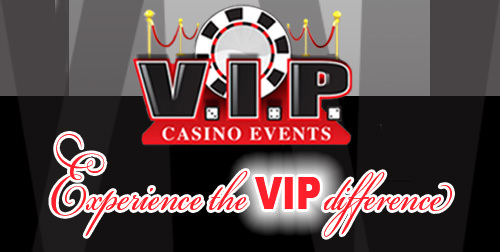 VIP Experiences: We have the best, most experienced, and interactive dealers in the business. Some of our dealers have dealt in Las Vegas, Atlatic City, and at Hollywood Casinos! We are the only casino event group that provides “hosts” and “PDM” (professional dealer managers) to ensure all guests are enjoying their casino experience with us! More than Casino Events: We offer MUCH MORE than just casino events to meet your event vision in a variety of entertainment options, from Dj’s to live bands, to festival games/inflatables to murder mystery dinners, to whatever you can imagination. With all of this in mind, I would suggest that we schedule an initial complementary consultation to listen to your vision of your ideal fundraising event and review the full scope of our services to see if we are a good fit to work together. Please let me know when you are planning your next fundraising event planning meeting and I can plan to attend. I look forward to meeting/talking with you and assisting you to make your vision of your event a perfect reality!